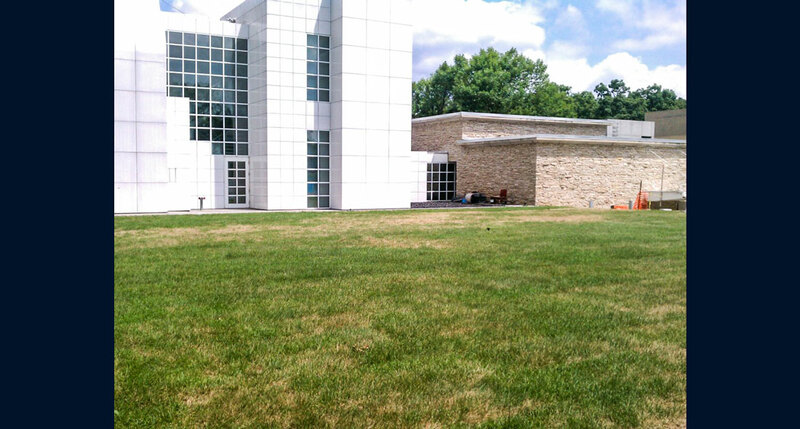 The Des Moines Art Center is an art museum with an extensive collection of painting, sculpture, modern art and mixed media. Over the past 60 years the Art Center has seen substantial growth. As the museum’s popularity increased, the number of long-term art exhibits and sculptures grew, also requiring additional storage space. It was critical that the new addition did not distract from the architectural characteristics of the building. By placing the storage underground in a hill, it would be easily accessible from an existing driveway, but still remain out of sight. An unobtrusive addition was consistent with the original design for a museum that hugs the hilltop and merges with the neighboring Greenwood Park surroundings. The design called for a sod grass rooftop. The roof was sloped for easy access providing a place where people could walk and use without knowing it was a roof. The space could accommodate outdoor gatherings of up to 450 people. Western Specialty Contractors was awarded the contract to install an American Hydrotech – Garden Roof Assembly. 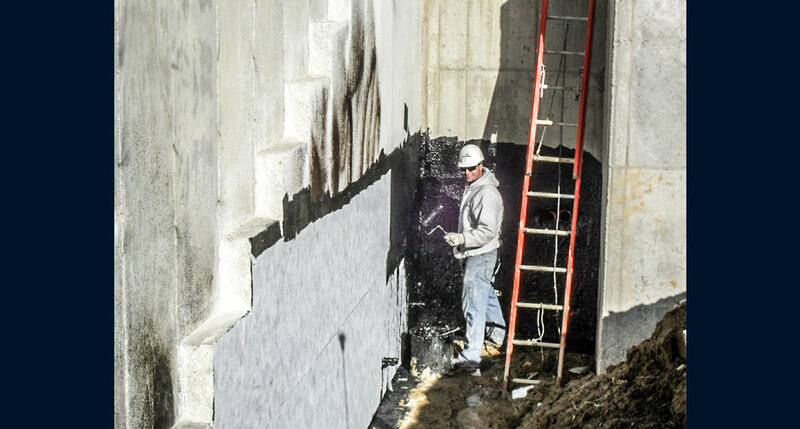 A hot-applied waterproofing membrane was applied to the horizontal concrete deck surface, as well as the exterior of the new cast-in-place concrete walls. Work began on the vertical walls (approximately 6,000 square feet) in the fall of 2010. 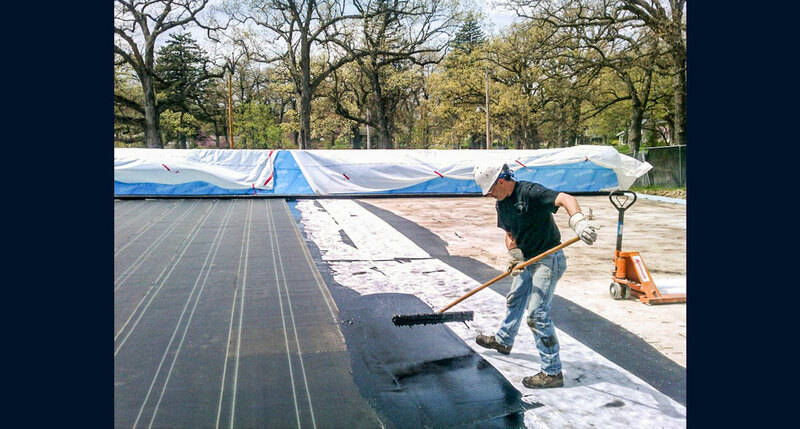 Western then returned in the spring of 2011 to install the membrane on the roof deck (approximately 12,000 square feet. The final components to the Garden Roof Assembly were then installed and new sod was laid. The project was completed on time and the area was open in time for a gathering in Fall 2011.